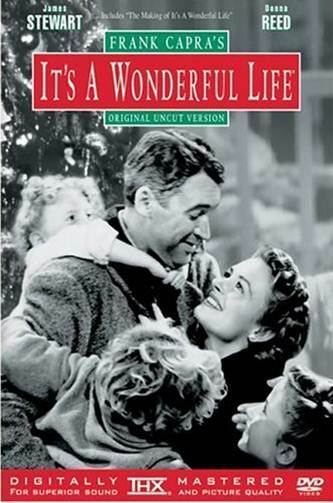 In my view,It’s a Wonderful Lifeis not the best Christmas film ever. It is simply the best film ever, full stop. Released in 1946, the film focuses on the life of a man called George Bailey (James Stewart) who lives in the small town of Bedford Falls. George intends to ‘shake off the dust of this crumby little town’ and get away to see the world and achieve great things. Yet through tragedy and his own sense of responsibility, he ends up spending his entire life in Bedford Falls running the building cooperative that his late father established.